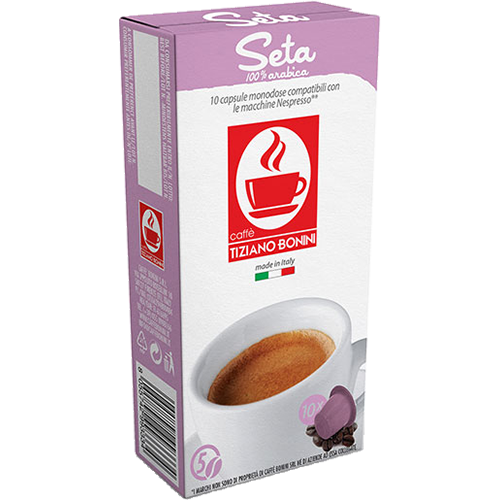 Caffè Bonini Seta coffee capsules compatible with Nespresso is an espresso blend made of 100% arabica beans, soft and velvety in the mouth. A very tastefull blend with notes of nuts, flowers and citrus. The aftertaste is long and with elements of coconut.